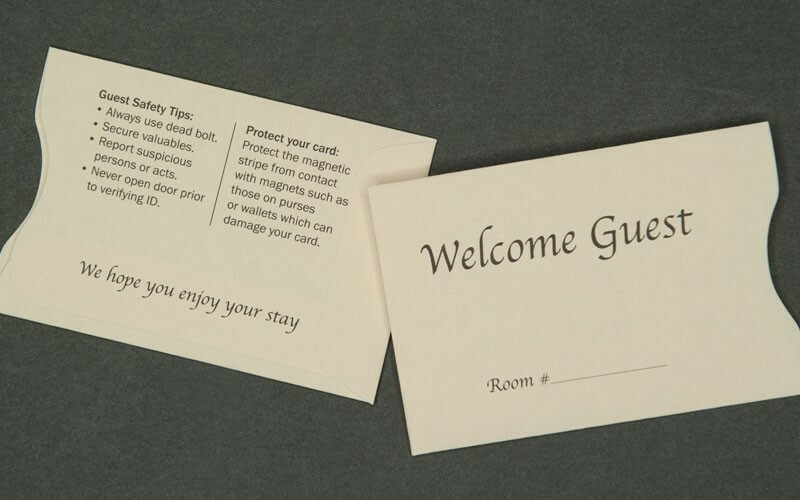 Our Welcome Guest key card sleeve, printed black on Springhill Opaque Ivory 60# offset paper, is designed to hold up to 2 cards. It measures 2 3/8” x 3 1/2” and includes a standard thumb cut for easy access to the key card. These pre-printed sleeves include guest safety tips and tips on how to protect the key card, as well as a line to add a room number.